After loyally reading the Neopian Times every week since I knew it existed (who knows how long it's been), I began to realize that there are quite a few things that good Neopian Times articles have in common. I imagine there are thousands of articles and comics submitted, but only the elite make it into the final version of this lovely newspaper. It might be a coincidence, but I believe that having these 9 elements in your article will help you become part of the elite! Of course, at the moment that I am about to write this, there is NO PROOF THAT THIS WILL WORK! In fact, unless you are reading this, there will never be any proof that my ideas are any good at all! So, here is a list of 9 elements to include in your article or comic that will make you an instant favourite of the Neopian Times staff. 9. Use good form. If you've ever written anything, you probably know that you should have a beginning, middle, and an end! Well, that's even true for the Neopian Times. Actually, it's ESPECIALLY true for the Neopian Times! You want to use the beginning, or introduction to grab your reader's attention. The middle is the interesting stuff you have to say, and the end is the conclusion where you wrap it all up! 8. Have a list. Articles that include a list of a certain amount of items/points/etcetera seem to go over well. In fact, they are probably my favourite type of article. Lists keep people interested and also help make your point! Me: Hi, Trudy! Would you like to help me out with the Neopian Times article that I'm writing? Trudy: Sure, tenthz! What would you like me to say? Me: Well, how about telling our readers how much you love reading the Neopian Times with me? Trudy: Oh, I do love reading! I've read lots of books. The Neopian Times is fun, too, because there are comics and stories. But most of all, I love the articles! Trudy: Well, the articles are usually very informative and sometimes they are even funny! I especially like reading the articles with lists and interviews and good stuff like that! hehe! Me: Well, I think you might just like the article I'm working on! 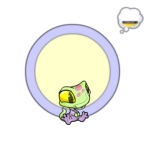 What about your petpet, Tristian? Me: Ahhh... I think that just about wraps up the interview portion! Moving on! 6. Use improper spelling and/or grammar to get a laugh. I'm not always sure this is intentional, but I do believe that used in just the right way, it can be a very effective element! For instance, you may be writing an article about how to choose the right socks to go with that lovely pair of Wellington Boots that your Aunt Marge got you for the Month of Celebrating. It might be funny to spell "sox" instead of "socks" just to be cool. Using the letter "z" instead of "s" seems to be very ztylizh at the moment. Chat speak might be funny as well - but d0nt 0v3r d0 17! LOLLIES! Ahem. 5. Have a rating scale in your article. This works well for articles that are trying to expose Neopian Times readers to new books, items, or games around Neopia. If you want your readers to be able to quickly glance at each item and have an idea of what you think about it, a rating scale is the way to go. I give this one a 8/10! 4. Praise Asparagus! I'm not sure how this got started, but I do believe that Asparagus is important to the very existence of every Neopian Times article. Not only that, but it's nutritious, green, and, um, stalky! 3. Go on a tangent. It seems to me that there are a lot of tangents in Neopian Times articles. The definition of a tangent is "a sudden digression or change of course". I don't really understand what could make this a good element in an article, but one time I was reading the Neopian Times when I realized that my socks didn't match! I really think that having matching socks is necessary for daily life! How would you feel if someone came up to you at neoschool or in the marketplace and they didn't have matching socks? I think I would feel rather insulted! In fact, I might feel as insulted as a Chia on Lupe Day. It really is a shame that Lup... oh! Look! Number two is coming! 2. Deny the existence of Jelly World. Personally, I don't even know how this whole Jelly World rumor got started, but it seems that many articles in the Neopian Times deny the existence of Jelly World. I wish someone would explain to me how you could possibly deny the existence of Jelly World! How could you even think to deny Jelly World's existence? I would like to personally speak to the person that started all of this simply because I would like to shake their hand/flipper/paw! The person that started all of this must have had a very wonderful imagination! I mean, they dreamt up this whole world made of JELLY! How absurd. 1. Good advice. Everyone has something to say. It's just not always anything good. Telling people that the best way to earn neopoints is to stand on their heads and sing Month of Celebrating Carols is probably not very good advice! Advice and guide articles seem to be the most popular because lots of Neopians want to help other Neopians. Or maybe it is just because they want to show off how much they know! The most important thing to know is that articles should be enjoyable to read (if you're lucky) and help out fellow Neopians along the way.